As the outer layer of your eye, your cornea is subject to a lot of stress and is susceptible to injury. 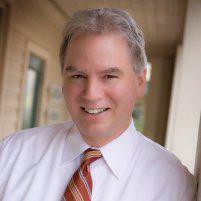 Since any problem with the cornea can affect your vision, Dr. David O’Day at Charleston Cornea & Refractive Surgery offers a specialized corneal center, where you can receive an expert evaluation and advanced treatment for the diverse injuries, infections, and diseases that affect your cornea. 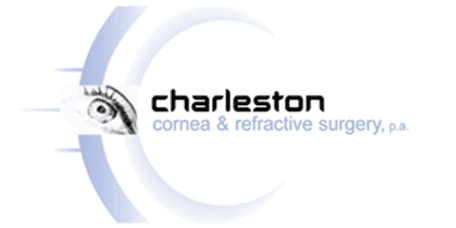 To learn more about the services available at the corneal center, or to schedule an eye examination, use online booking or call the office in Mount Pleasant, South Carolina. What is the role of your cornea in vision? The cornea is a clear dome covering the surface of your eye. Although it protects your eye from dust and germs, it also fills a vital role in vision. About 65-75% of your eye’s focusing power comes from the cornea, as it bends incoming light so that it’s properly focused. The shape of your cornea determines whether light is focused in front of, behind, or directly on the retina. It must be perfectly round to bend light at the right angle to focus properly. What diseases commonly affect your cornea? Your cornea is susceptible to injuries such as scratches. If they’re deep, scratches can cause scarring that affects your vision. Symptoms such as eye pain, sensitivity to light, inflammation, and reduced or blurry vision are all signs that you should see Dr. O’Day for a thorough corneal examination. Corneal dystrophies include a group of conditions in which one or more parts of your cornea become cloudy due to a buildup of material. Keratitis, an inflammation of the cornea, may be caused by a minor injury but it’s often related to contacts lenses that were improperly cleaned or worn too long. This pink, triangular growth of tissue on the cornea is also called surfer’s eye, because it develops when your eyes receive excessive exposure to UV light, wind, dust, and sand. Eye drops relieve the irritation caused by pterygium, but if the tissue grows large enough to affect your vision or make you feel self-conscious, Dr. O’Day may perform surgery to remove the growth. Herpes of the eye is a recurrent viral infection caused by the same herpes viruses that cause cold sores and genital herpes. The shingles virus that causes chickenpox stays dormant in your body for years, then it can reactivate in your cornea, causing a rash in and around your eye that leads to inflammation, scarring, and vision loss. Keratoconus is the most common corneal dystrophy. It occurs when collagen fibers that hold the cornea’s shape begin to break down and weaken. As a result, the center of the cornea becomes thin and bulges outward to form a rounded cone. This corneal disease affects patients in their late teens or early 20s, then progresses over 10-20 years before it begins to cause symptoms such as blurred vision, double vision, light sensitivity, and glare. Corneal cross-linking is a minimally invasive procedure that includes two steps. First, a photosensitive solution is applied to the cornea, then it’s exposed to a low dose of ultraviolet light. As the solution reacts with the light, the existing collagen is fortified and cross links are formed that strengthen your cornea. What are Intacs corneal implants? Intacs are micro-thin implants inserted into your cornea. The thin, circular ring is placed on the outer center of the cornea. As the implant gently pushes out the sides of your cornea, it assumes its natural round shape. What are the two types of corneal transplants? When you incur severe damage to your cornea, you may need a full or partial corneal transplant. Full transplants, which replace your cornea with a donor cornea from an eye bank, are effective, but require a long recovery time. A partial thickness corneal transplant replaces only the damaged section of your cornea. Dr. O’Day performs partial corneal transplants using Descemet's Stripping Automated Endothelial Keratoplasty (DSAEK) surgery, which uses a thin donor graft of corneal tissue to replace diseased tissue.